The best horses in the world come from Scott Creek Farm. Our horses are national champions in New Zealand, Australia, England and Europe as well as all over the United States. Their genetic potency is being realized by breeders worldwide. The horses listed here show extreme diversity both in price and possible use. We have reasonably priced individuals that may fit the needs of the person looking for an intriguing and offbeat pet. You will also find horses listed that are well pedigreed breeding and top show quality horses for the discriminating enthusiast or breeder looking to enhance one’s own herd. In addition to these horses we have other top quality miniature horses for sale. Contact us for information on our mini horse sales. Frequently our foals are spoken for as they are born. If you have a particular interest in our horses, we encourage you to contact us early. PURA VIDA RAGS 2 RICHES- This super black 32 inch 2012 stallion definitely has the look of the modern miniature. His triple registered sire, Grahams Ragtime, is one of the most successful halter and performance horses in the AMHA breed owned by Kim Sweat. His Scott Creek dam is multi World Champion halter mare, Scott Creek Monarch Coquette. Richie was used as a stud last year for the first time siring several 2018 foals. Last fall Richie came to Scott Creek along with his dam. Since we have Monarch sons for breeding, we are offering Richie for sale. 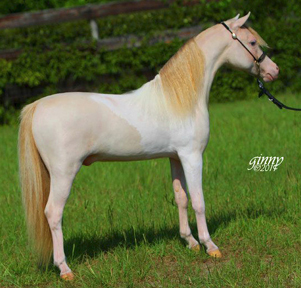 If you like the beautiful Arabian look, Indio has the presence of his sire, Grahams Ragtime and his maternal grandsire , Sierra Dawn Uno’s Monarch. RECENTLY GELDED, SCOTT CREEK CALL ME SALSA. 2016 solid chestnut gelding, double registered AMHA & AMHR this beautiful gelding has an expansive energetic trot that gives him great driving potential. Salsa was briefly shown as a yearling and did very well. He has been started driving in cart. He is very willing and forward moving. I have some cell phone video of his first week in cart if requested. He is ready for his new owner to finish him and start collecting ribbons in 2019. Salsa has a ton of presence. His sire(Oak Bay Salsimo) is famous for siring worlc champion halter and driving offspring. His dam is a beautiful Call Me Sir daughter. Salsa will mature close to 34+ inches. If you want to purchase a horse by using a credit card or PayPal and do not have an account, it is easy to set one up. Click on the link below to create your own PayPal account. We can send you an invoice and all payments can be safely made through PayPal.